Three a cappella groups hailing from Ohio Wesleyan University will perform at 1 p.m. on Sunday, April 22 at Boardman Arts Park, located near the OWU campus at 154 W. William St. Located near the Ohio Wesleyan University campus at 154 W. William St., Boardman Arts Park will be the site of a free a cappella concert to be held at 1 p.m. on Sunday, April 22. The Northwest Neighborhood Association (NNA), which is overseeing events at the park, announced the concert will feature three a cappella groups, all hailing from OWU: The Jaywalkers, The OWtsiders and Pitch Black. According to the press release, The Jaywalkers is an all-men’s group, The OWtsiders is a co-ed group, and Pitch Black is an all-women’s group. The free event is open to the public, but donations to the arts park are welcome. 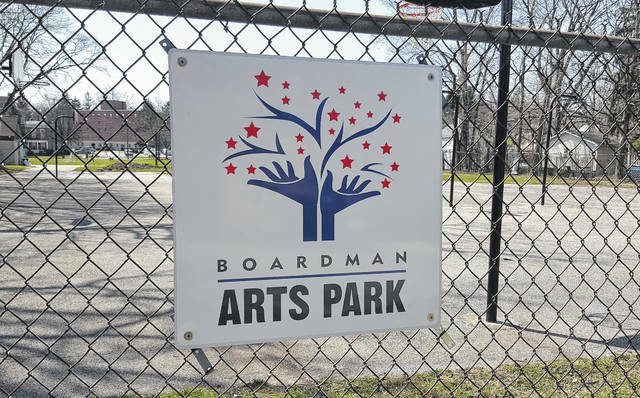 According to the press release, there are four areas of planned activity at Boardman Arts Park. • Innovative outdoor gallery conveniently close to downtown that showcases rotating exhibits that can be experienced in a park environment. • Opportunity for the community to create exhibits that will be installed on the park grounds. • Dynamic art structures that invite and encourage active hands-on activity and engagement for all. • Multi-use venue for classes, concerts, and events near the heart of downtown Delaware. A full calendar of upcoming events at the park can be found at DelawareNNA.org. The NNA was founded in 2001 by a group of residents and property owners to address civic and legislative issues facing the neighborhood. The neighborhood is bound by the Olentangy River on the east, Euclid Avenue on the west, Pennsylvania Avenue on the north, and William Street on the south. The nonprofit community association is committed to preserving the quality of life and fostering a sense of pride in Delaware’s historical northwest neighborhood. The NNA has long used funds collected from annual events (the Ghost Walks and Holiday Home Tours) to fund programs for the neighborhood, including banners, planters downtown, Strand Theatre seats, and street trees, among other things.